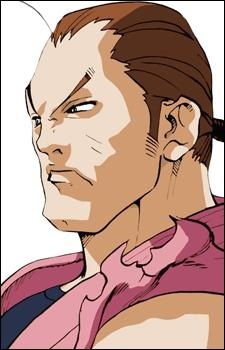 Dan Hibiki, more commonly known simply as Dan, is a character from Capcom's Street Fighter series of fighting games. Dan is consistently portrayed as an arrogant, overconfident, yet utterly weak character in many of the games in which he is featured. He is widely considered to be the comic relief of the series because of his over-the-top poses and battle cries.